We've come to terms with the fact that our careers in the NFL are probably not going to happen, but Madden, EA Sport's storied franchise, lets us get as close to the dream as possible. This year, we got to spend two days working with four of the best athletes in the game who were in contention for the cover: Rob Gronkowski (New England Patriots), Patrick Petersen (Arizona Cardinals), Odell Beckham Jr. (New York Giants), and Antonio Brown (Pittsburgh Steelers). 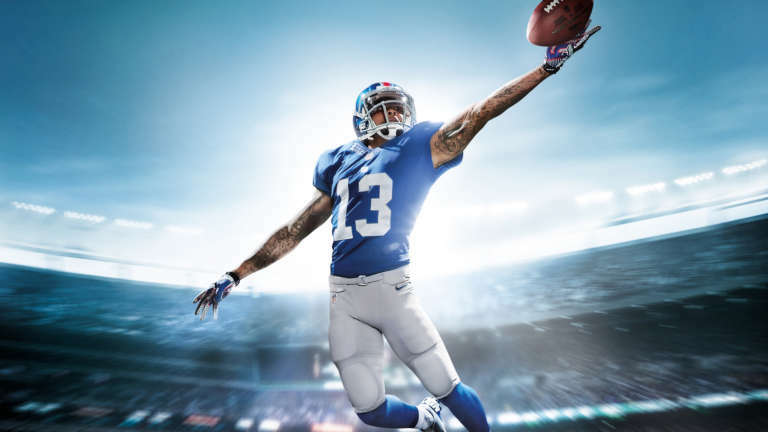 Odell Beckham Jr. ultimately won this year's cover vote. It's not every day that you get to celebrate one of the most memorable touchdowns in rookie NFL history and Beckham's most iconic moment: the one handed catch. Despite having a neck injury, he delivered an amazing image for us. Catch the release of Madden NFL 16 on August 25, 2015.